The greatest tag line I can think of would be “The only game these guys have… is onscreen”. Isn’t FPSrussia’s 15 minutes up yet? The guy has shot every gun known to man and blew up a zillion pounds of tannerite. Know when to quit bro. “The Controller” (which the video is a trailer for) starts today (Sept 20th). Medal of Honor Warfighter won’t be out until October 23rd. If you want it in hand quick after that date though make sure to pre-order a copy on Amazon. Not to mention that, he now also has people making usernames imitating him. So many comments from people like FPSRussa and FPSRussian, etc…. Any FPS which you have to play with a controller makes me cry. I cannot figure out what the hell is going on… I get that there are teams competing for money, but I don’t know what they’re doing. Based on the first 38 seconds of the video, my best guess is that they’re pairing off a bunch of professional “operators” with professional gamers. As best I can tell, the idea is that the gamers train the “operators” to play video games all pro-style, and the “operators” train the gamers to do it all fo’ realz and shizz. Then, they compete with each other, and team that does the best all around wins money. I was just popping in here to mention this. Good stuff. …I feel soiled. 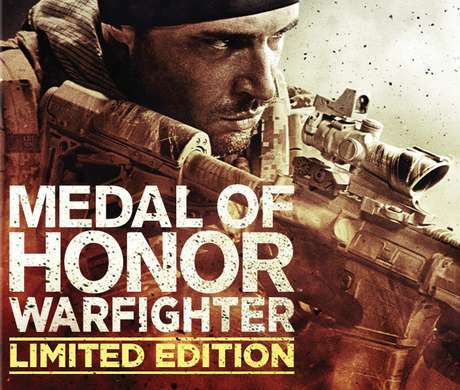 MoH: Warfighter was already sold for me. Why’d they need to bring this idiot in? He already soiled World of Tanks, why this game? Why couldn’t had it been Black Ops 2?